News and announcements regarding the forum. Non Members - Please Read ! Members have access to more content - click to join up today ! NEW MEMBERS - please post here and introduce yourself ! Where are you in the World? Why not add yourself to the Members Map? 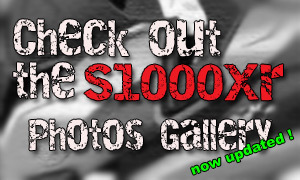 Join our new S1000XR Photo Gallery. Upload your photos, create albums, and easily embed the images into your forum posts ! General chat relating to the S1000XR. Topics in this board must be S1000XR related on subjects not covered by other boards. Chat about Maintenance, Servicing, and Mechanic issues of your S1000XR. Discuss any accessories and modifications that you've added to your XR, or that you are considering. Discussions around Lighting, Wiring, and Electrics. Also, includes battery and electrical issues with ancilliary components. Chat about motorcycle clothing, riding gear, helmets, and apparel. 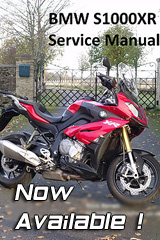 Service manual and accessories for your S1000XR from Marks Motor Cycle Parts. BMW S1000XR bodywork and accessories from Powerbronze. Chat about general bike related topics that do not fit the other categories. Also discuss other BMW models here. The place for all non-bike related discussion, i.e. general chat, jokes etc. Please keep it clean..
Was it you ? "Spotted" an "XR" in your travels? Tell us where ! Have a bike for sale? Advertise it here. Please do not reply to topics unless you have a genuine interest in the item! List your your items for sale here - clothing, accessories, unwanted parts etc. Please do not reply to topics unless you have a genuine interest in the item! After something ? Post your request here and see if someone has what you need. Please do not reply to topics unless you can assist the poster! Please read these Rules and Guidelines before posting or replying in the "For Sale/Wanted" boards. Need help with something relating to the Forum ? Read our most read FAQ's here. Raise any problems you have with the site/forum here.